Larry Van Rhee married Carol Hirst, daughter of George Hubert Hirst and Mary Irene Houghton. Alma Elizabeth Haughton married James Brewer. 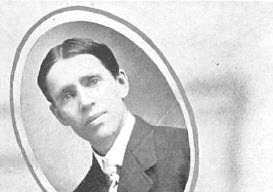 Robert L. Haughton married Alma Larson in 1892 mar 8 y in 1900. Robert William Haughton Jr married Christina R. (?) in circa 1924 age 31 and 23. Myrtle Winnifred Willis married Harry Henderson Houghton Jr, son of Harry Henderson Houghton and Monnie Gertrude Bolton. Harry Henderson Houghton Jr married Myrtle Winnifred Willis. Theresa (?) married John F. Houghton. William Irvin Houghton married Vivian Bobeck. William Irvin Houghton and Vivian Bobeck were divorced. Hamilton Stewart Peyton married Dorothy Louisa Houghton, daughter of Theodore Sedgwick Houghton and Elvina Hawkes, in Jun 14, 1934 at Saint Albans, Franklin Co., VT, USA. Mary Lois Baumgartner married Robert Sedgwick Houghton, son of Theodore Sedgwick Houghton and Elvina Hawkes, in May 12, 1943. She from Wolfeboro Falls, NH, 70m from Fairlee. Pauline Houghton married James Watson in Nov 16, 1870 at Jersey City, NJ, USA.